Because violence, suicide and heart attacks can be side effects of taking or withdrawing from various psychotropic drugs, we are providing you this information as a public service. This report is an overview of the side effects of common psychiatric drugs and includes information on drug regulatory agency warnings, studies and other reports that may not appear in the packaging information for the drugs. For further information consult the Physicians’ Desk Reference, which can be found at http://www.pdrhealth.com. For more information about psychiatric drugs and suicide, download the booklet Psychiatric Drugs Create Violence and Suicide. It could be dangerous to immediately cease taking psychiatric drugs because of potential significant withdrawal side effects. No one should stop taking any psychiatric drug without the advice and assistance of a competent medical doctor. CCHR does not offer medical advice or referrals. The information in these publications is offered as a public service. Some of the brand names of drugs included relate to countries outside of the United States. Report any adverse psychiatric drug effects to the FDA's MedWatch program at http://www.fda.gov/medwatch/. Let CCHR know how these publications have been useful for you. For more information about safely coming off of psychiatric drugs, download the booklet Coming Off Psych Drugs Harm Reduction Guide. Read more about how drugs work here. While not everyone on psychotropic drugs commits suicide or uncontrolled acts of violence, the effects of the many other side effects can be horrendous. But what about those who say psychotropic drugs really did make them feel better—that for them, these are “lifesaving medications” whose benefits exceed their risks? Are psychotropics actually safe and effective for them? What else aren’t they told? 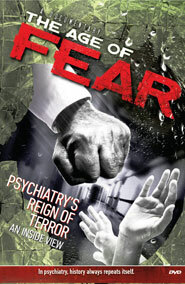 Watch the DVD: The Marketing of Madness: Are We All Insane? 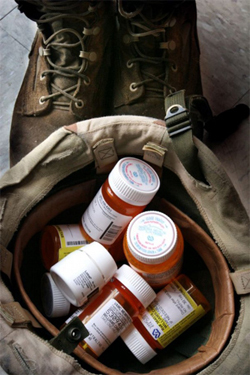 For the first time the side effects of psychiatric drugs that have been reported to the U.S. Food and Drug Administration (FDA) by doctors, pharmacists, other health care providers and consumers have been decrypted from the FDA's MedWatch reporting system and been made available to the public in an easy to search psychiatric drug side effects database and search engine (https://www.cchrint.org/psychdrugdangers/). The database is provided as a free public service by the mental health watchdog, Citizens Commission on Human Rights International (CCHR). The report totals reveal that between 2004-2008 the FDA's MedWatch system received pregnancy-related psychiatric drug adverse reaction reports which included 2,442 babies born with heart disease, 3,372 other birth defects, as well as 1,072 miscarriages, abortions and other deaths. The database also reveals that, between 2004-2008 there were reports submitted to MedWatch including 4,895 suicides, 3,908 cases of aggression, 309 homicides and 6,945 cases of diabetes from people taking psychiatric drugs. These numbers reflect only a small percentage of the actual side effects occurring in the consumer market, as the FDA has admitted that only 1-10% of side effects are ever reported to the FDA. The database is searchable by individual reports (for the 2004-2006 period), type of drug, age of patient, the side effect reported (suicide, homicide, heart attack, stroke, mania, etc. ), and whether the drug in question carries a black box warning (the agency's strongest warning--short of banning a drug). It is searchable by drug name and age group and includes who reported the psychiatric drug reaction (doctor, pharmacist, consumer, etc.). It also includes the top 20 reported adverse reactions to all psychiatric drugs to the FDA and combined summaries of all psychiatric drug reactions for the years 2004-2006 and 2004-2008. Since the reform of the Prescription Drug User Fee Act (PDUFA) in 2007, ads for psychiatric and other drugs must include statements encouraging consumers to report adverse drug reactions to the FDA's MedWatch system--Adverse Events Reporting System (AERS). However, consumers or doctors attempting to access the AERS online were confounded by a system so complex that it was impossible to use. Although the FDA should have made the information collected readily accessible, it failed in that duty to the public. It took a computer programmer over 1,000 hours to decipher four years' worth of data to make this information available. The programmer identified the main psychiatric drugs in the AERS, wading through quarterly reports of seven different reporting systems, including the drug name, demographics, adverse reactions, patient outcomes, reporting source, therapy start and end dates and the indication (diagnosis). The result: A database and search engine that unravels the 94,000 pages of codified psychiatric drug adverse reactions reported each year from 2004-2006 and 2004-2008 to the FDA's MedWatch system. Reporting of adverse reactions to psychiatric drugs by doctors, pharmacists, other health care providers and consumers once those drugs are out in the consumer market, is fundamental to drug safety monitoring. Yet these reports have been frequently ignored or dismissed as "anecdotal" by the FDA even when serious side effects number in the thousands. The FDA approves the majority of psychiatric drugs only after Phase 2 (short term) clinical trials. However, once the drugs are out in the consumer market, the FDA is supposed to require longer clinical trials, or post-marketing studies of the drugs, however this rarely happens. Subsequently, dangerous and deadly drugs have been left without black box warnings, or on the market for far too long. The best "signal" event for the FDA to direct its resources in identifying or pulling dangerous drugs is what is happening out in the real world, with consumers and patients, not in a controlled short term clinical trial, funded by the pharmaceutical companies seeking approval for their drugs to go to market. For years the information contained in the FDA's MedWatch reporting system has been inaccessible and therefore virtually useless for consumers and doctors. CCHR's stance has always been that consumers have the right to this information for then -- and only then -- can consumers have full "informed consent" regarding the risks of psychiatric drugs, and so it has provided this database as a free public service.